Double Burner Griddle Just $14.99! Down From $50! 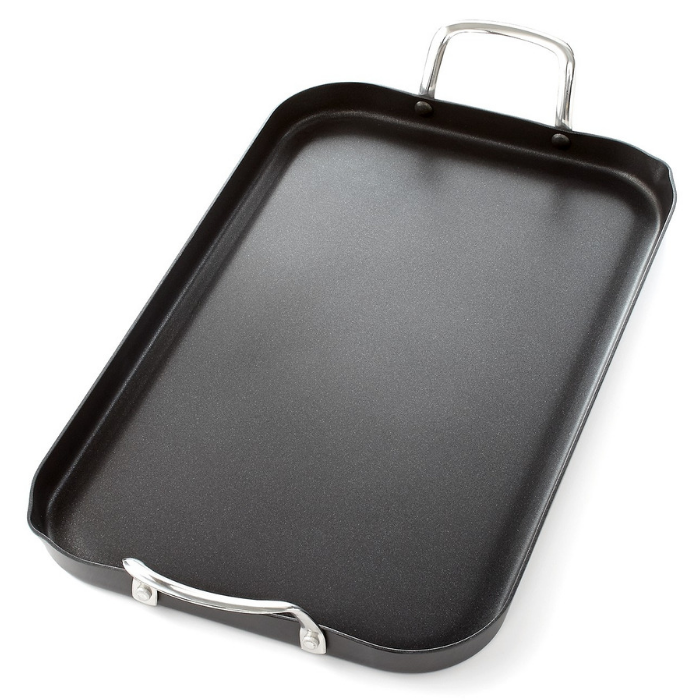 You are here: Home / Great Deals / Double Burner Griddle Just $14.99! Down From $50! TODAY ONLY! Hurry over to Macy’s to score this Tools Of The Trade Double Burner Griddle for just $14.99 down from $49.99! PLUS, it’s FREE store pick up or FREE shipping with any beauty purchase or on orders $49! Griddle me this! Switch up the way you cook meals with this nonstick beauty. Perfect for flipping flapjacks, crisping bacon, grilling sandwiches & more, this quick-heating aluminum essential promotes low-fat cooking & easy cleanup.